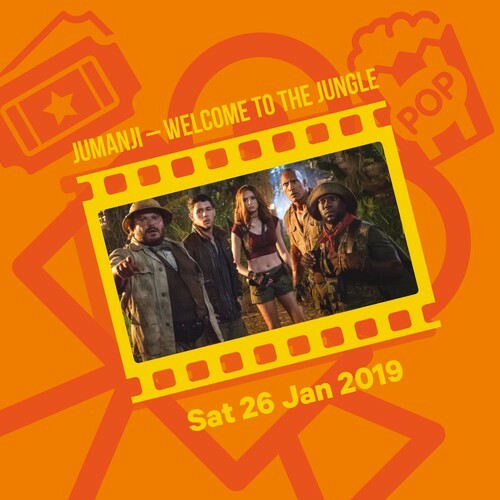 The kids season of the 2019 Mitre 10 MEGA Outdoor Movie Season at Bay Skate finishes with Jumanji: Welcome to the Jungle on January 26. Movie Info: When four high-school kids discover an old video game console with a game they've never heard of-Jumanji-they are immediately drawn into the game's jungle setting, literally becoming the avatars they chose: gamer Spencer becomes a brawny adventurer (Dwayne Johnson); football jock Fridge loses (in his words) "the top two feet of his body" and becomes an Einstein (Kevin Hart); popular girl Bethany becomes a middle-aged male professor (Jack Black); and wallflower Martha becomes a badass warrior (Karen Gillan). What they discover is that you don't just play Jumanji--you must survive it. To beat the game and return to the real world, they'll have to go on the most dangerous adventure of their lives, discover what Alan Parrish left 20 years ago, and change the way they think about themselves-or they'll be stuck in the game forever... Rated PG. The kids movie screenings will begin at 5.30pm and finish at approximately 7.30pm. Buy tickets online, Mitre 10 MEGA Napier and Hastings or Bay Skate. Booking fees apply online.